Animals have played a crucial role in the lives of humans for thousands of years, and ensuring that our furry (and not so furry) friends are happy and healthy has become a firmly established field of expertise. Veterinary science deals with the health and wellbeing of animals. Like medical degrees, this encompasses everything from preventative care to psychological analysis and complex surgical procedures. If you’re passionate about ensuring animal wellbeing, have a strong aptitude for scientific study and feel up to the challenge of dealing with all kinds of creatures (and owners), a veterinary degree could be for you. What do veterinary degrees cover? Veterinary science was formalized as a discipline in the 18th century, when a host of specialized colleges were established across Europe. Since then, it’s evolved into a complex and advanced field, requiring a relatively long and demanding period of study in order to become a qualified practitioner. Much like human medical care, veterinary science is competitive and demanding, yet also highly regarded; it promises the rewards of social status, attractive employability and salary prospects – and of course the satisfaction of contributing to animals’ quality of life. If you study veterinary science, you will cover many of the same topics found on a medical degree, but with a focus on animals instead of humans. Course modules may include anatomy, animal behavior, animal husbandry, cell biology, nutrition, physiology, genetics, epidemiology, pharmacology, infectious diseases, pathology, parasitology and public health. You may also have the opportunity to study veterinary science modules which are less scientific but all part of the preparation for veterinary careers, including communication skills, law and ethics, business management and others. 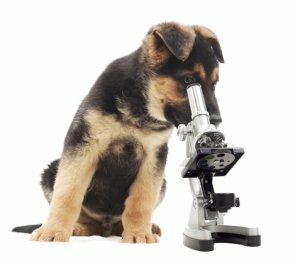 In order to study veterinary science, you will be expected to demonstrate a very strong academic record in science subjects, especially chemistry and biology. You’ll need to show excellent grades from your previous studies in these two subjects and have an overall good diploma. Good grades in mathematics and physics are usually not obligatory, but they may be an asset to your application. As veterinary degrees are often highly competitive, applicants are also expected to show evidence of their longstanding interest in the field, perhaps through completion of some relevant work experience or voluntary work. Like medicine, veterinary science education and training follows a different system depending on the country. In some countries, you can study veterinary science at undergraduate level, while in others the subject is only offered at postgraduate level, after completion of a relevant undergraduate program such as biology or animal science. In either case, you can expect your studies to last at least five years, and often longer. During the first few years of your studies, you will be introduced to the main background knowledge and theory required to become a veterinary practitioner. During the next stage, you’ll have opportunities to choose to specialize in certain areas you are most interested in. Towards the end of the program you will usually complete a work placement, which may include working in a clinic, farm, zoo or another organization in which animals are inspected and cared for. At the end of the course you will typically be expected to carry out a research project on a topic you have chosen yourself. Assessment methods include in-class exams, essays, short projects and practical examinations. A veterinary physician or surgeon (often shortened to “vet”) will often take responsibility for a wider range of roles than a doctor would; this means training is generally quite wide-ranging. 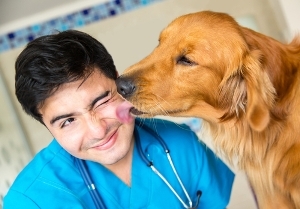 While some veterinary practitioners specialize in a particular field of animal care, such as oncology, dermatology or surgery, others cover the full range. You may also choose to specialize in caring for a particular group of animals – such as domestic animals (kept as pets), livestock (raised by the agricultural sector), or exotic animals (kept in zoos, aquariums and conservations). 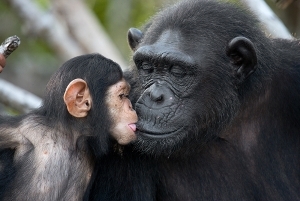 Have you ever wondered why do animals behave the way they do? If so, you might consider specializing in animal behavior, nutrition and welfare. You will have the chance to learn about animal behavioral patterns, their psychology and welfare and most importantly we can do to improve it. You may also specialize in animal nutrition, learning about the dietary requirements of different animals, as well as studying the various ethical and legal frameworks that regulate our interactions with all sorts of animals. Another important specialization is infectious diseases and zoonoses. A zoonosis is a disease which can be transferred between species (including from animals to humans). 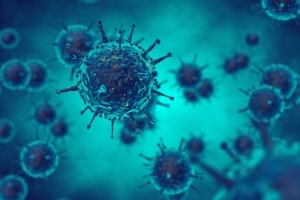 This specialization could prepare you for the investigation of new and emerging diseases, as well as working to improve preventative and curative measures for known viral and bacterial infections. You may learn about vaccinations, biosecurity emergency management, and zoonosis protection programs, perhaps going on to work as an advisor in a government department, agricultural organization, non-profit organization or academic research group. Another possible specialization is reproductive biology. 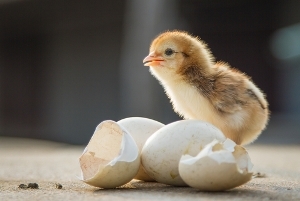 If you choose to specialize in this veterinary science topic, you will learn all about animal fertility, reproduction, development and life cycles. You’ll study the various physical and environmental factors that impact on reproduction, and how to intervene using methods designed either to increase or limit reproduction. Your goal may be to keep an animal population within sustainable limits, to increase the population of an endangered species, or simply to advise farmers, breeders, zookeepers and others involved in overseeing animal reproduction. If you choose to study veterinary epidemiology and public health, you will focus on analyzing trends and patterns in the spread of disease, including carrying out epidemiological investigations and disease modelling. You’ll need to master various statistical methods, as well as gaining knowledge in areas such as food safety. 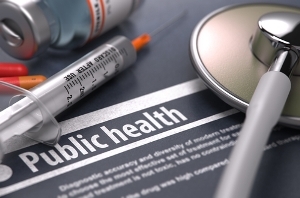 The main goal of this area is to learn how to protect the public from dangers such as zoonoses and contaminated food supplies, by assessing possible risks and taking appropriate measures when problems occur. Livestock animals will be the main focus of your studies. Other areas of specialization include: anesthesia and analgesia, cardiology, critical care, dermatology, diagnostic imaging, ophthalmology, oncology, parasitology, physiotherapy and rehabilitation, surgery, and veterinary nursing. If you have a background in pharmacy or a related discipline, you may pursue a career in veterinary pharmaceuticals. And if you’re less interested in practicing and more interested in knowledge creation, then research- rather than clinical-focused courses and programs are offered at many universities. The most obvious choice is a career as a veterinary physician, caring for animals as a doctor would for humans. However, there’s significant variation in the type of animals you could be responsible for, and the associated range of tasks. You may be based in a surgery caring for the needs of domestic animals such as cats, dogs and hamsters. You could go out on calls to farms to help manage livestock such as cows, sheep, bison or camels – depending on where in the world you are! 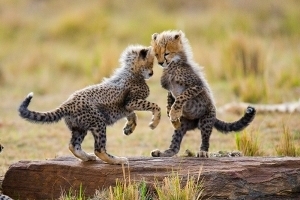 Or you may work at a zoo or conservation center, overseeing the wellbeing and reproduction of rarer animals. 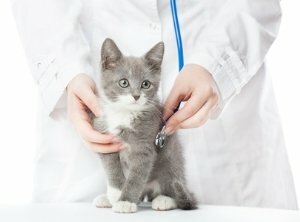 To practice as a veterinary physician, you’ll usually need to gain accreditation from an official national body, which may meet sitting an exam such as the North American Veterinary Licensing Examination (NAVLE). Another possible pathway is a career as an animal nutritionist. In this role, you will be responsible for designing special diets, and provide advice for healthy animal nutrition. You may work with livestock in the field of agriculture, oversee the feeding of animals in zoos, or advise owners and breeders of domestic animals. You will have the opportunity to specialize in certain types of animals, or have a general practice. As well as providing advice about nutrition, you may also more generally provide specialized guidance on animal welfare and behavior. Alternatively, you might pursue a career in veterinary science research, contributing to the advancement of knowledge in this area to improve animal (and in some cases also human) health and healthcare. 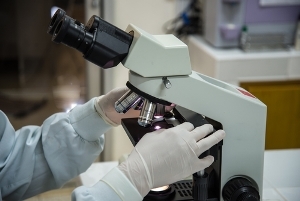 Research roles are available within pharmaceutical companies, academic labs and universities, private research institutes, government agencies, charities and even international organizations such as the UN Food and Agriculture Organization. Your time may be spent designing experiments and clinical trials, gathering and analyzing data, writing reports and publishing papers, attending conferences and other events, and providing guidance for official bodies and policy makers. Another option is to pursue a career in the field of veterinary science education, working as a teacher or lecturer in a college or university. Your role will to educate the next class of veterinary students, sharing your knowledge through lectures, seminars, lab sessions and practical demonstrations. Alternatively, you may train as a secondary school teacher, specializing in a related subject such as biology or anatomy. Another field you may consider is scientific journalism. This may include working for an academic journal or scientific magazine, producing animal-related documentaries, and even working for a well-known TV channel such as Discovery, Animal Planet or National Geographic. This career path may allow you to travel, meet lots of different people (and animals), and explore different places and species around the world.